What are association executives saying about their Association Management Software? It might not be what you think. Selecting the right Association Management System (AMS) is a critical decision for associations. As humans, we highly value the opinions of our family, friends, and peers. With these two things in mind, it’s time association executives have a voice. 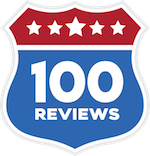 ReviewMyAMS is a trusted place where executives can speak openly and honestly about their experiences with their AMS. So many have shared their opinions. You can, too! Finally...an AMS that actually WORKS!!! Read what hundreds of association executives are saying about their management system in regards to customer service, ease of use, reliability, and customization. Each review goes through a 7-step validation process to insure each reviewer is who they say they are and that they are an end user of the platform they are reviewing. AMS Fest is two loaded days where you’ll be elbow-to-elbow with other association professionals that all want to engage in discussions around AMS.